Jana moved to Lake Tahoe in 1989 to raise her daughter in a smaller community environment. She has been involved in real estate since 1994 in the capacity of home builder and California and Nevada Realtor. In December 2015 the real estate company Jana had worked with for 8 years was acquired by Sierra Sotheby’s International Real Estate. The exposure, support and integrity of Sierra Sotheby’s are extremely valuable to Jana and her clients. Jana listens carefully to her client’s needs, and enjoys consulting with buyers and sellers, providing them with current valuable real estate information. Her clients comment how they appreciate the extensive customer service Jana delivers. Please click here to Jana’s Reviews. Jana follows the Golden Rule; she treats others how she wants to be treated – with respect and utmost care. Jana enjoys the great outdoor activities that Lake Tahoe offers like golfing, boating, hiking, kayaking, snowshoeing, and bicycling. Jana really takes the time to actually listen to what we are looking for and shows us homes accordingly. She’s very organized, patient and obviously loves what she is doing. I have found Jana through another RE website when I was looking for an agent in Tahoe to sell my house. I have spoken to 2 other agents before her. I found them unprofessional since they have never followed up with my request and needs or basically did not return my calls when they said they would! I had to move on and look for different agent. Jana was the one who was very professional, trustworthy, hard worker, knowledgeable and caring. I could see this quickly and decided to work with her now and in the future. I really recommend her. Betty R.
I purchased a condominium in the Tahoe Keys in late 2015. My real estate agent was Jana Nelson. I rarely post reviews, but working with Jana has been one of the best experiences I’ve ever encountered in real estate dealings. This was a stressful and obviously atypical purchase and closure (a bank foreclosure with an unforeseen legal suit pending), but Jana handled everything with aplomb. It was very comforting to have her as an advocate through the entire process. She is a stellar communicator and client advocate, always able to be reached at a moment’s notice. Jana immediately allayed any feelings of angst or worry that I might have had moving forward through this ordeal. I could go on about the many other issues that she has helped me with as well, several outside her realm of responsibility for any client, including helping me set up utilities, muddle through city ordinances for rental, and even arranging a construction company to assist me with refurbishments after the sale. I just want Sierra Sotheby’s Real Estate to know what a wonderful business partner and person that they have working for them. I truly cannot express how much I appreciate all of Jana’s diligence and dedication to seeing this deal through on my behalf. Best wishes for the New Year, Jana, and thank you again! 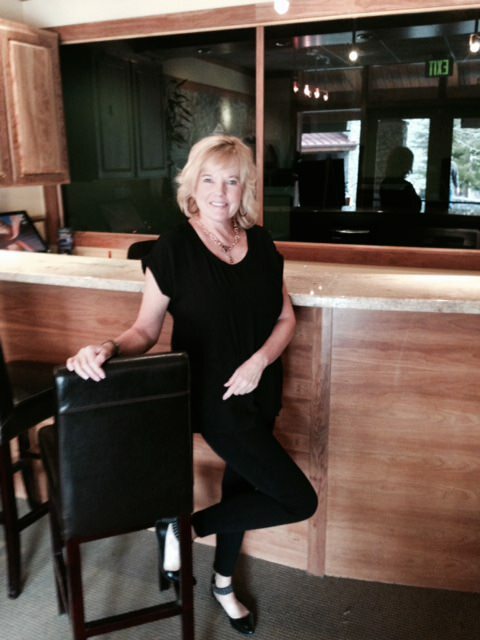 We chose Jana to list our So Lake Tahoe house. She proved to be an excellent choice as our realtor! A friend had recommended Jana to us, saying, “Jana is on it!” That statement rang true. She was attentive to detail & constantly on the move, exposing our house to as many people as possible. Our house moved quickly, plus escrow closed ahead of schedule due to Jana’s efficiency. We highly recommend trusting Jana Nelson with one of the biggest financial decisions you’ll make…your real estate investment. Jana was recommended to me by a relative. Even though she lives in the South Lake Tahoe neighborhood I was impressed with her knowledge of the area and its neighborhoods. She did a great job of giving us idea and suggestions we didn’t even know to think about. She was really quick and responsive to all forms of communication. She also did a fantastic job with negotiating with the seller to get us a great deal on our property. Thank you for all of your help! We will be in touch for our next property! My wife and I starting looking for a vacation / disconnect from business life home in February 2015. I was looking at homes here in South Lake Tahoe on Zillow and had no references to an ahem so I trusted Zillow and reviewed a few different agents and Jana was the first called and I left a message. It was a Saturday afternoon and Jana returns my call within 15 minutes. We had a 10 minute conversation and within those10 minutes, she had sent potential homes for us to review and we had set up an appointment for the next weekend. We toured 8 homes that next weekend (Sunday) between 8 am and 1:30 pm. We made another trip up the next weekend, made an offer with Jana’s assistance. The closing was a 21 day close and Jana arranged all the inspections and additional paperwork backup based on disclosures. Jana was very patience and provided instance feedback to our inquiries throughout the process. With the travel time to get to the Tahoe Basin, Jana was extremely flexible with meeting times for the final walk through. She also provided references for other services that we needed. All her references have been great to work with. We consider Jana a good friend and we continue to keep in contact. We were extremely lucky to have selected Jana as our agent and I hope you find the same success with her as well. Jana went above and beyond for my husband and me. We live in Florida so it was important to find a Realtor that cared. She was available for all of our questions, via email, text and phone. We signed all of our documents via email. I highly recommend Jana Nelson, especially if you do not know the area. We have had the experience to purchase a home through her and the experience to sell through her. She has exceeded our expectations on both accounts. Jana is very professional…friendly… And knowledgeable… Helps you through every detail and complicated steps. Highly recommended for buying or selling property. This review is long overdue, as we purchased our vacation home in 2011. Ours was a short-sale as well. Jana was our agent, and I don’t think we could have chosen a person as knowledgeable about the local market, the flavors of the different neighborhoods, the realistic home values at that time, and the short-sale process. In addition, she was infinitely patient with us, as we were looking for a very specific property type, in a very specific price range, in a very limited time frame. We ended up putting a backup offer on a place we thought we liked at the time, but we knew our chances on that were fairly slim. Jana continued looking for us after we went back to our hometown. She knew exactly what we wanted, because she uncovered a new listing and sent it over to us. She visited the property, emailed us a hundred photos, and answered my thousand questions. We were so confident, we put an offer on the home without ever seeing it in person, thanks to Jana’s expert work and communication. The short-sale process was a little bumpy, but Jana held it all together for us. We moved in Christmas Eve 2011. Thanks so much Jana!